Not-So-Silent Cinema bring their original live score for F.W. 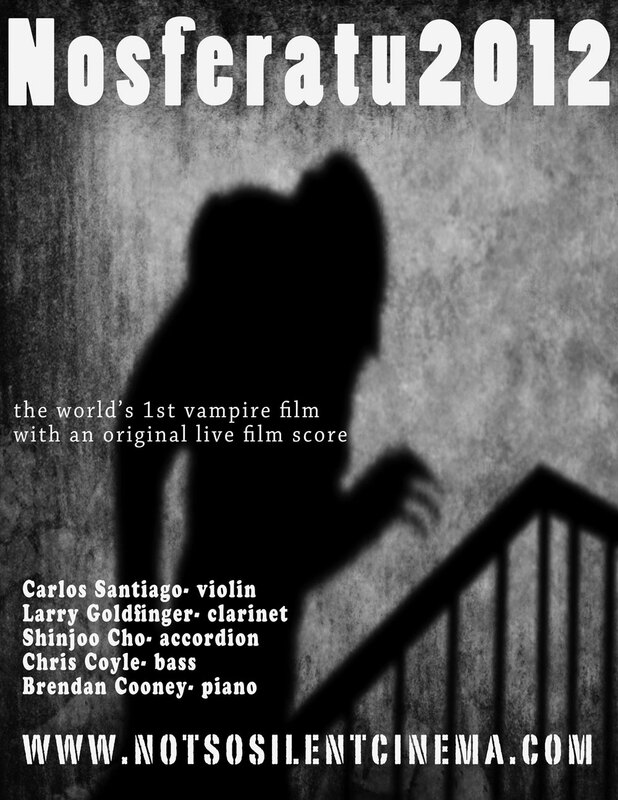 Murnau’s NOSFERATU to PhilaMOCA this Halloween season. Who could get away with such an awkward line? Only Count Orlok, the world’s first and creepiest cinematic vampire. Max Shreck’s portrayal of this arch-vampire in the 1922 silent-film Nosferatu has achieved the status of legend. 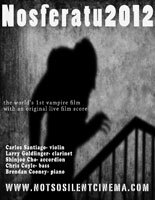 In October of 2012, for your listening pleasure as you travel into the ethereal Transylvanian mountains, you can experience the full horror of the film with a live quintet of Klezmorim as they blend a haunting tapestry of Klezmer motifs, Gypsy grooves, avant-garde textures, and classic horror effects. Former Philly-based composer Brendan Cooney (West Philadelphia Orchestra, Rhinoceri Trio) has written an original score for the film to be performed live by a quintet of some of the finest musicians from the Klezmer, Balkan, jazz, tango, and classical scenes of both the Boston and Philadelphia areas. $10 advance (available here), $12 at the door.